Over a year has passed since the 2014 unveiling of GoldLink’s debut project, The God Complex. In the interim, he met with industry legend/couch God Rick Rubin, collected hundreds of thousands of SoundCloud streams, and landed a coveted spot on the XXL Freshmen cover. The DMV star-in-the-making has done a lot, except provide much detail about what’s to come in terms of a Complex follow-up. That changed last night. 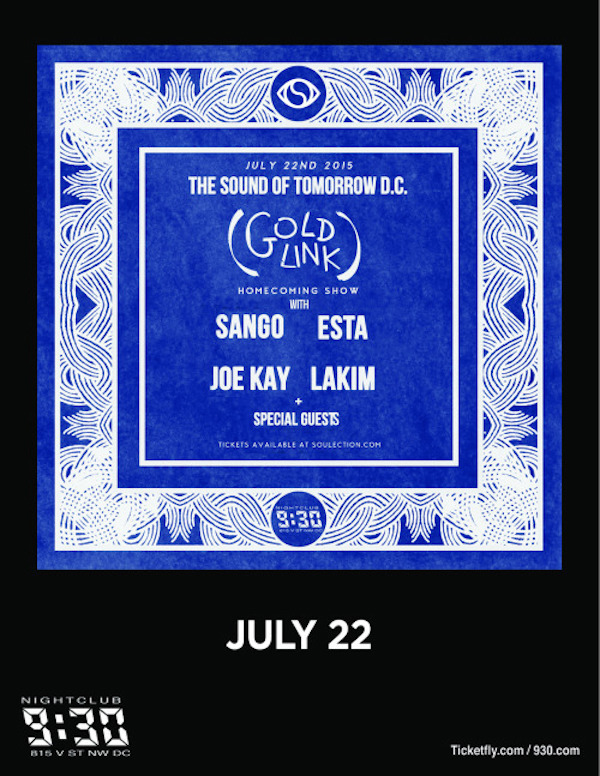 The spirited rapper rocked a high-profile homecoming show with the likes of Sango and Lakim at Washington, D.C.’s 9:30 Club. He revealed two little-known bits of info for those in attendance: his next body of work will come through Soulection, and it’s titled And After That, We Didn’t Talk. Fortunately, a fan captured the moment on video. Although the above footage of the announcement doesn’t explicitly state the word “album” or a synonym for it, a tweet published by the venue itself seems to suggest it is in fact the name of his sophomore project. That tweet, as well as one from someone who lists herself a member of Equative Thinking, Link’s management team, is located below. Stay tuned for more news about the approaching release. Semi-related: here’s a video of the concert during the performance itself. Any DMV residents who skipped, it looks like you missed out.